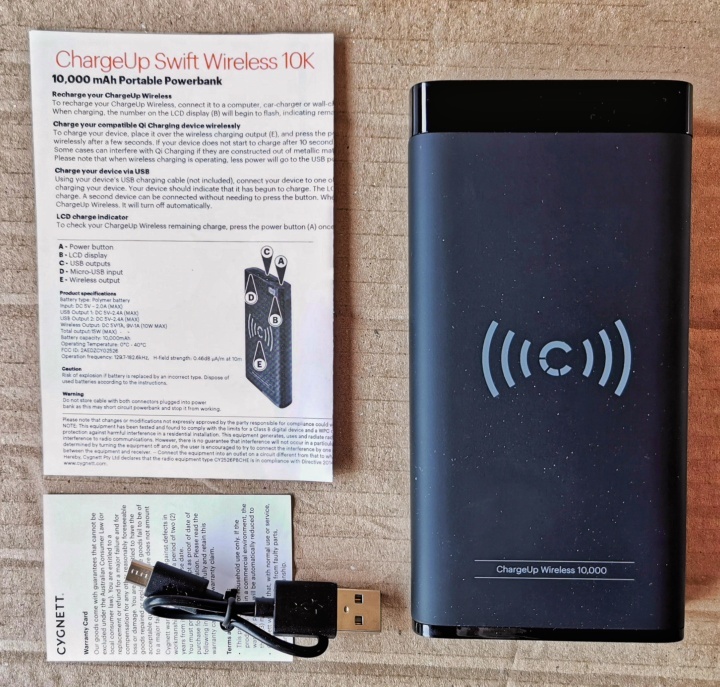 Cygnett’s ChargeUp Swift power bank is the ideal solution to keep your gadgets charged up on the road, incorporating 10,000mAh of the latest lithium polymer battery tech. combined with a Qi wireless charger. 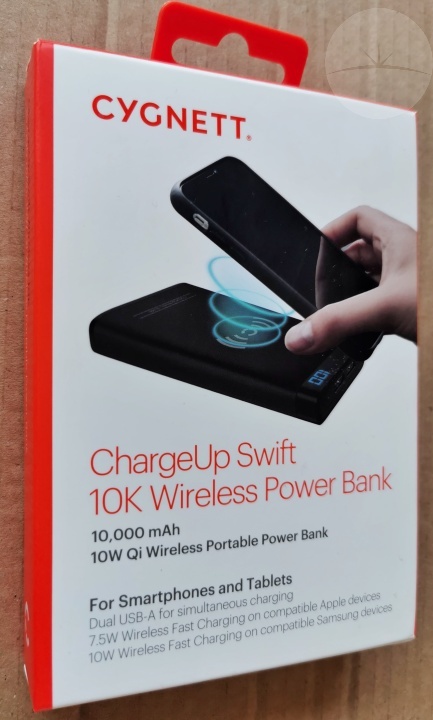 No frills packaging opens to reveal the moderately sized external battery along with a small instruction leaflet and Micro USB cable. The device is similar in size to a double-thickness modern smartphone with a nice black soft-touch plastic shell. It’s fairly lightweight and portable so shouldn’t weigh you down during your travels. On top is the Qi wireless charging pad supporting between 5W to 10W charging speeds depending on your handset. The power button and USB sockets are located along one edge, with an indicator LED and nice blue numeric LCD charge level indicator up top. You get a couple of full-size 5V 2.4A USB output ports along with a standard Micro USB input port. 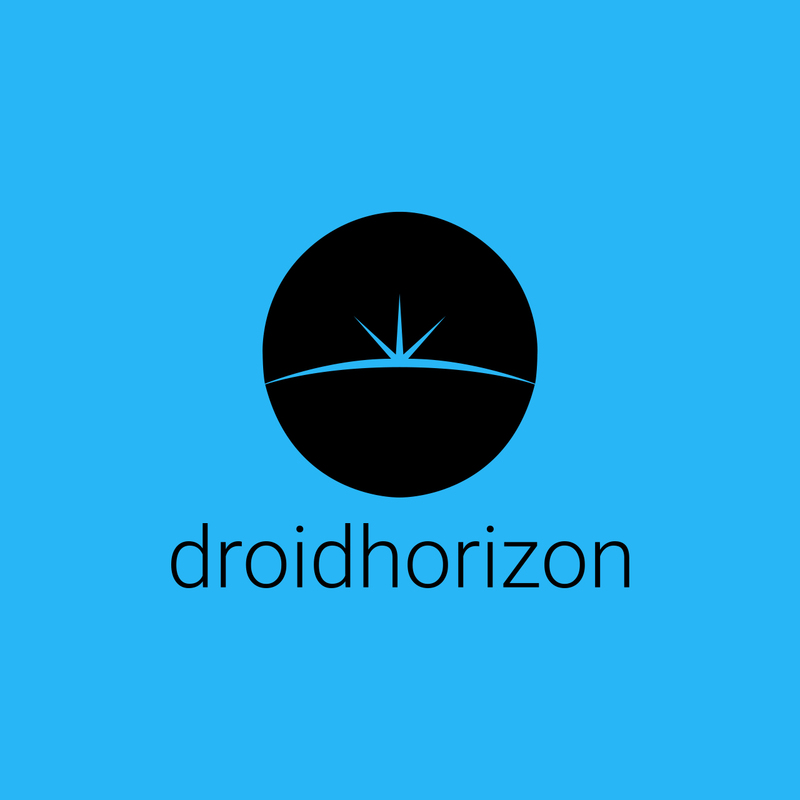 Faster charging high-amp protocols such as Qualcomm Quickcharge or USB Power Delivery aren’t supported. 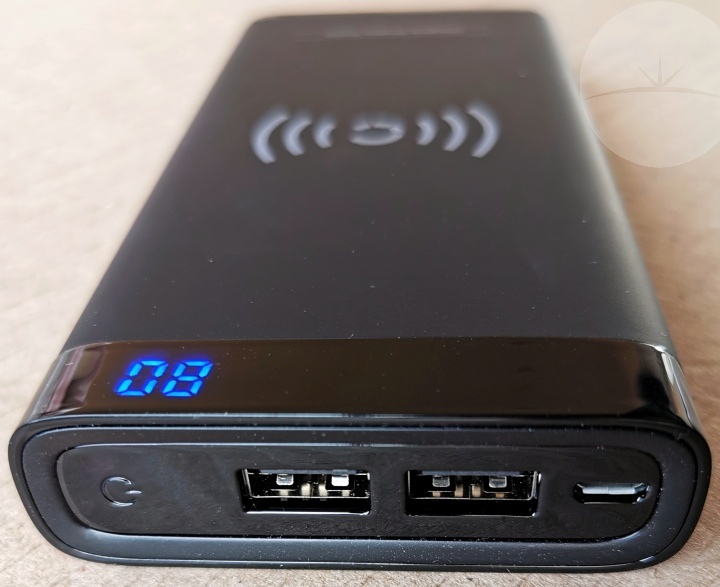 When you press the button, the LED indicator lights up and power output begins to the USB ports along with wirelessly charging the phone resting on top. Everything worked flawlessly with no heating issues and my tests found the 10,000mAh capacity to be genuine. The battery also automatically shuts itself off to save power when nothing is connected. 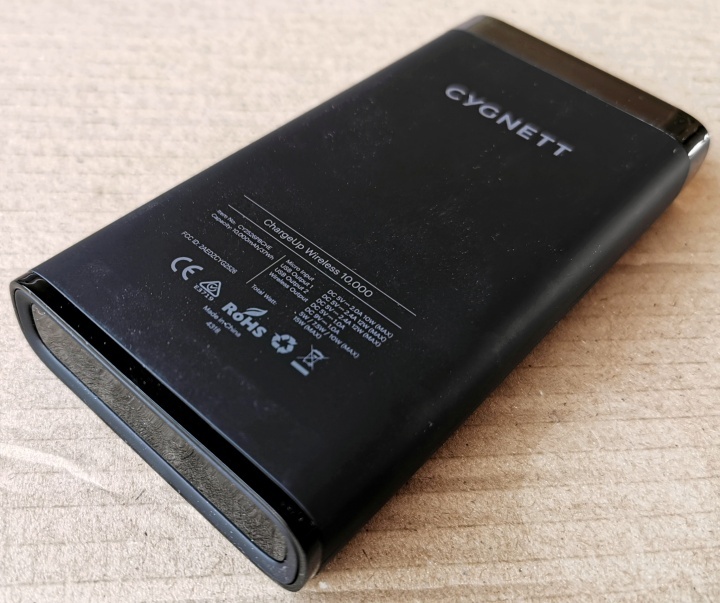 I find a capacity of 10,000mAh to be a good compromise between portability and convenience – your phone will get at least 2 full charges out of it and it takes about 6 hours to refill which is ideal for an overnight charge.